The legendary fighting game franchise is back with next-generation visuals, over-the-top action, a wild cast of combatants, rocking reactive music, and C-C-C-COMBO BREAKERS! Choose from amongst a wild cast of combatants each with fluid animations, unique combat tactics, and flashy special attacks. Utilize an open-ended combo system to rack up huge combos as your opponent looks for openings to break you and turn the tides of battle. Go online and test yourself against players from all over the world, or brush up on your combat skills in detailed tutorials. 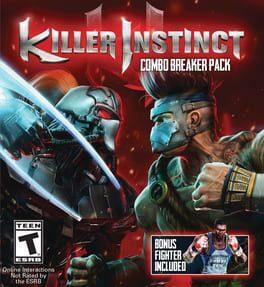 Killer Instinct is available from 18.49 to 18.49 from 1 shops.